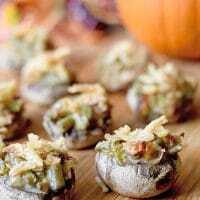 This delicious recipe for Green Bean Casserole Stuffed Mushrooms is a dish I prepared as a sponsored post. All opinions are my own. Once the rush rush of Thanksgiving is over, most of us will have a lot of leftovers to last us another week! This is certainly true in my family! We try not to let anything go to waste and so that means getting creative with the leftovers. 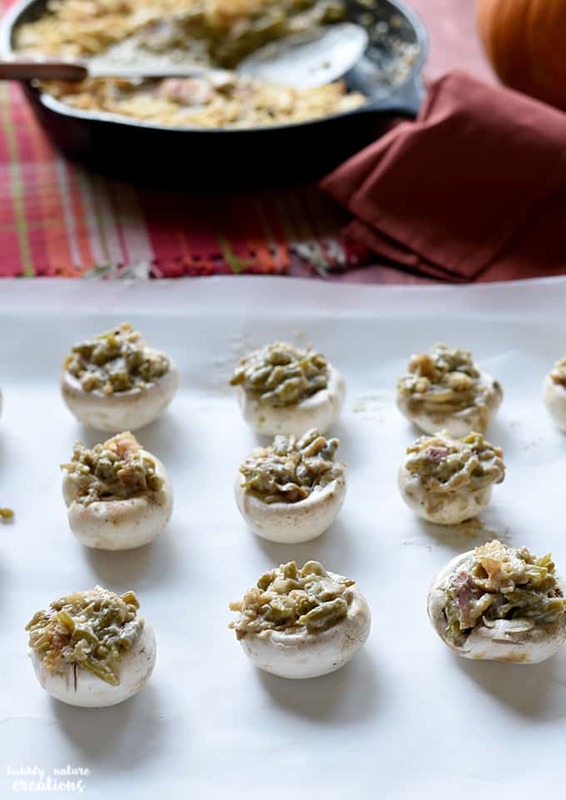 These Green Bean Casserole Stuffed Mushrooms are an easy twist to use up the leftover green bean casserole (if there is any leftover). 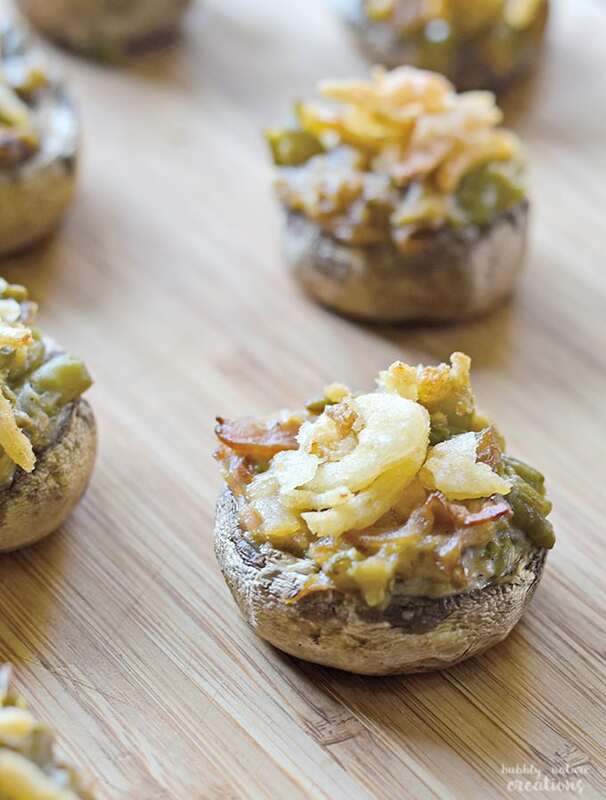 The fresh mushrooms really add a lot of flavor to the leftover green bean casserole! 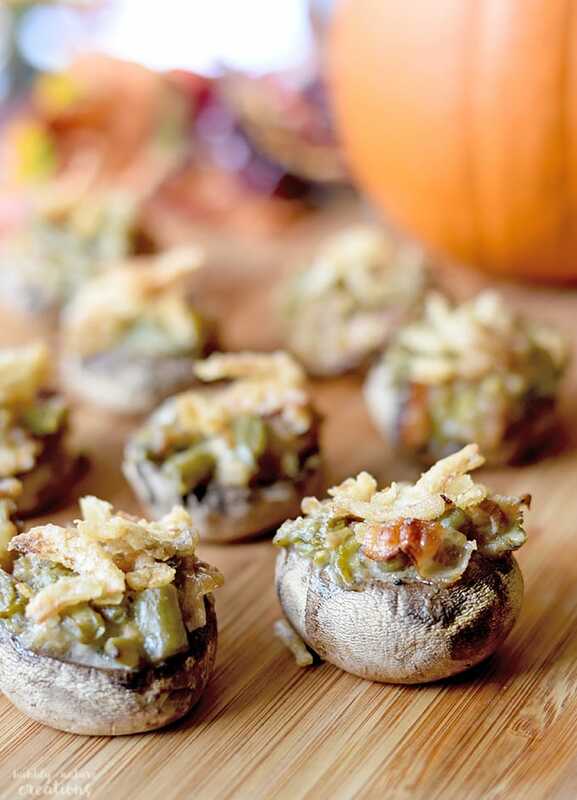 We love how they taste with the Campbell’s® Condensed Cream of Mushroom soup. My particular recipe for green bean casserole this year has caramelized onions and bacon in it! You can see the recipe here. Preheat oven to 350 degrees F. Line a baking pan with parchment paper or spray well with oil. 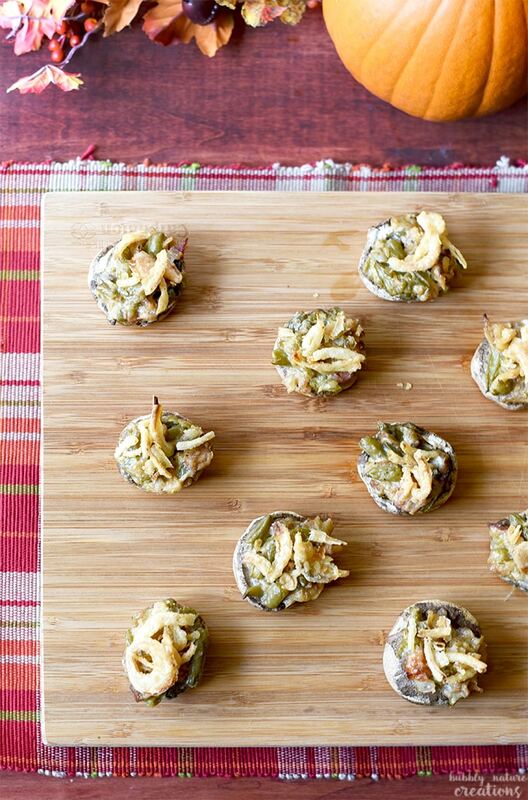 Place mushrooms on pan and stuff them with the green bean casserole. Bake for 20 minutes or until mushrooms are starting to become brown and giving their juices. Top with a few French's fried onions and bake for another 3 to 5 minutes or until they start to brown a little. Take out and serve. These are just amazing! My kids loved them as well and I know I will be making them often. What do you like to make with leftover green bean casserole? Next time you’re in Walmart, go look at the screens by the green bean casserole display at the end of the aisle. Walmart is picking the best of the ideas given people like you and me to show right there in the store! If you see mine, let me know with a post or a tweet! Make sure to go to thisismytwist.com to see everyone’s suggested twists!